In the past couple days, there are have been a number of people who have received surveys asking about “dynamic pricing” and Walt Disney World. This is not dynamic pricing in the truest sense of the word. Dynamic pricing is when the market, to a point, dictates what the price of a ticket for an event is going to be. Disney is investigating if it wants to maintain its current model of pricing or move to a more dynamic model of pricing where certain, more popular, dates will cost more than less popular dates. Let me say that some business, mainly baseball teams, have been doing this for years. It’s done in an attempt to get more people to come to the “less popular” games while making more of a profit of the games that people are coming anyway. Usually, there is a price floor which the tickets if bought from the team do not fall below. People can still get tickets, below market value, if they purchase (at their own risk) from a third-party vendor. Above is a screenshot of a color-coded calendar. 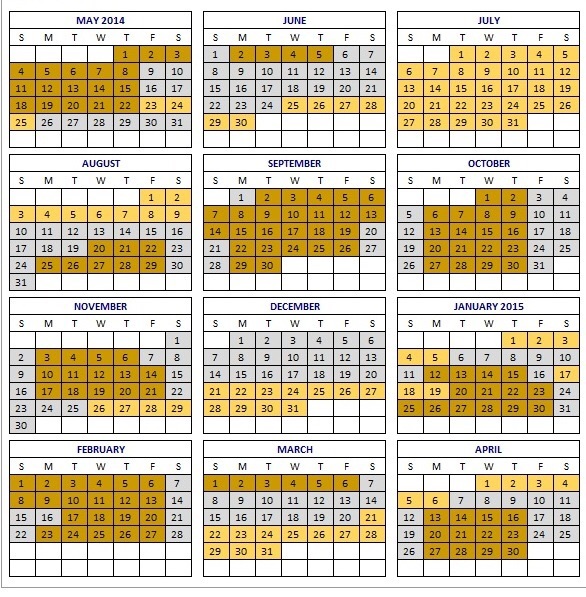 The lighter orange/brown days represent “gold days.” These days are the most popular and therefore most expensive days to purchase tickets. The silver days are “middle of the road” days. They are not as popular as the gold days but more popular than the bronze days. As a result, they cost less than the gold but more than bronze. The dark orange/brown days are the bronze days. These are the least popular days and therefore the less expensive of the three price tiers. Below is what the pricing tiers and structure would look like under the surveyed system. As you can see, the bronze tier is not much different from the current Disney price structure. It looks just a standard year-to-year price increase. The silver prices are $10 more than the bronze and the gold prices are $10 more than the silver ($20 more than the bronze). However, things start to go “all pear-shaped” when Disney color-coded their dates. There are only three Saturdays (1 in May, 2 in September) and eight Sundays (3 in May, 2 in February, 2 in September, 1 in March, and 1 January) that are bronze days. Every other weekend day is either a silver or bronze day. Under this tiered price structure, guests who have a “split stay” would have to pay a upcharge on their tickets for the more expensive days. This flies in the face of Disney’s current booking policy where guests get all the benefits of a package (ie. Free Dining) provided they check-in during one of the approved windows. If their stay goes into a blackout period, they still keep their free dining. It doesn’t get blacked out. Thinking about a guest’s typical vacation….it’s a week-long. There are only times when bronze days are longer than seven days (an eight-day stretch in May and 14 day stretch in September). Guests will now be forced to choose between paying a $10 or $20 upcharge on their tickets or reduce the number of days from their ticket package to no longer include the upcharge days. In addition, it will add another level of complication to booking a vacation through the Disney website or through a travel agent. The experiences, in the parks, have not changed. Why should guests be forced to pay more just because the date is more popular? Disney will try to counter argue that they are just bringing their resort room pricing into the parks. Disney charges more for hotel rooms based on simple supply and demand and the hotel does not change much like the park experience. I call that argument “hogwash” (actually I’d call it a much stronger term but it’s a family blog). Dynamic pricing, in my opinion, is just a money grab plain and simple. I would rather deal with $5 price increase from now until the end of time than seeing Disney go to a dynamic/tiered price structure. Tiered pricing only hurts the consumer in the pocketbook by forcing them to pay more for the same experiences. There are not more attractions open or better character interactions on gold days. It’s essentially the same park just costing more money. I could go on and on about the evils of dynamic/tiered pricing but I will stop here. I leave you with the statement if you get this survey please tell Disney that this idea is the worst idea that they have ever come up with. I agree with you article, well stated. 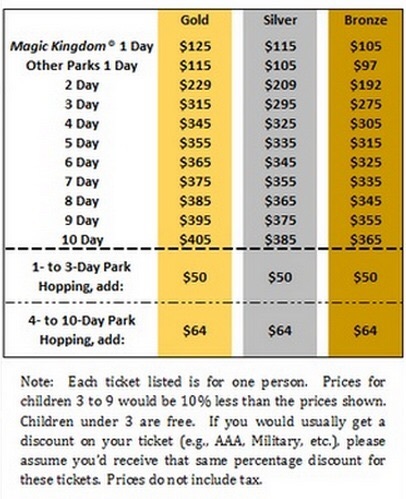 If popular events like the food & wine cost more to get in, will people either not go or spend less in the parks? Sounds like a confusing and financial hit to the guest. I am a DVC member and am honestly thinking of selling my DVC due to all the changes going on. It requires way to much thought, planning and effort to take a vacation. Thanks. Dynamic price is one of those that companies say, “it’s to help the consumer” but it’s just a sneaky way of increasing prices and therefore profits. There is one Disneyland and one Disney World (MK, Epcot, HS, AK) and EIGHT BILLION people on earth. Day is coming it’s going to cost $200 for a single day ticket. And then it will be $300, etc. Disney’s pricing power is almost, almost unlimited.